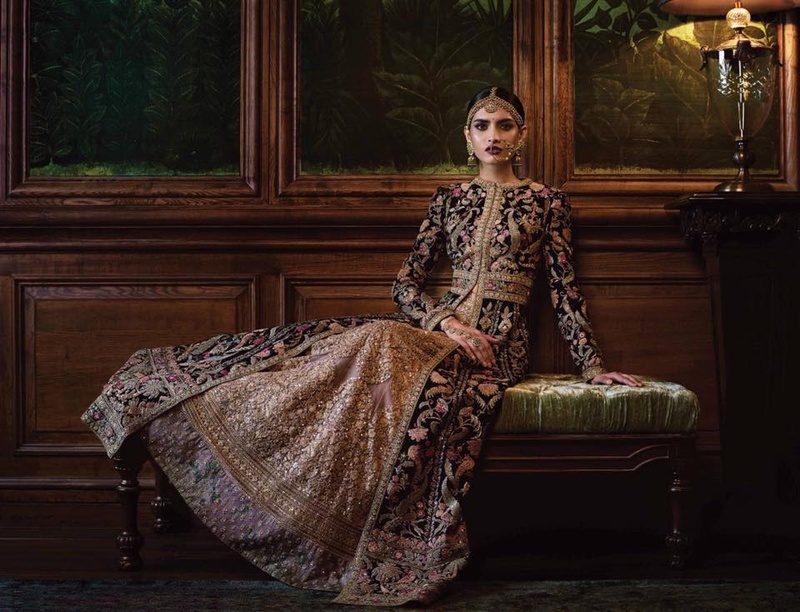 Firdaus – Sabyasachi’s Latest Indian Bridal Wear Collection Wows us, AGAIN! While on our daily task of insta-stalking our favourite bridal wear instagram accounts – we were glued to one particular account in specific. Who? You might ask. It was the instagram account of the guru of bridal wear! The man behind the pretty scatter of sequins in lehengas, the artisan who rediscovered the greatness of the Mughal era through his collection. That’s right, Sabyasachi Mukherjee, The master of Indian bridal wear, recently launched his latest brainchild, Firdaus to the world through the medium of Instagram. This collection takes us back to the colonial times, where Sabyasachi takes inspiration from Kenya, Burma and dhsa in weaving each lehenga and sherwani to perfection. The term “Modern Heirloom” is something that especially caught our attention - Sabyasachi brings to indian bridal wear an old-world charm with Firdaus. Keeping the feel of ancient India, he adds elements that speak of elegance, royalty and poise. The motifs of birds, coconut trees and flowers - an unusual combination put together so beautifully, with each piece of indian bridal and groomswear becoming a piece of art. 113 colours, vegetable dyed silk floss. Dip dyed brocades and silver gilt. 69 artisans, 2800 hours of pure love. All about the little details! Big embroideries for the Bold bride! Stunning Modern Heirloom jewellery by Kishandas & Co.
Sabyasachi comtemporarizing the jacket lehenga - who said only men wear jackets?